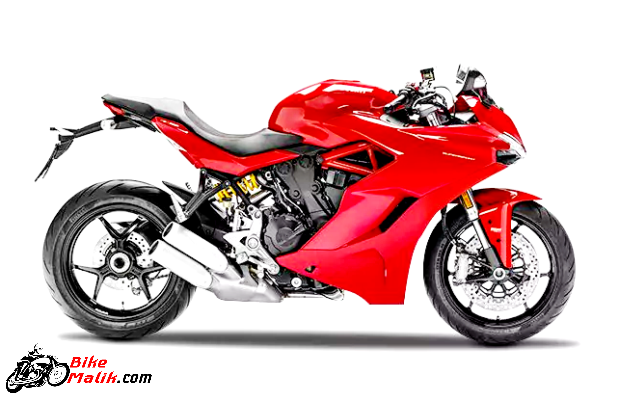 Ducati launched the most iconic sports model ‘SuperSport’ into the auto market so as to make the portfolio sumptuous and also to delight the auto lovers. This naked sports bike gets power packed engine along with super transmission gearbox that gives powerful vibes to the distant riders. The bookings of this sports model are opened with the initial pay of 3 lakhs depending on the dealership. 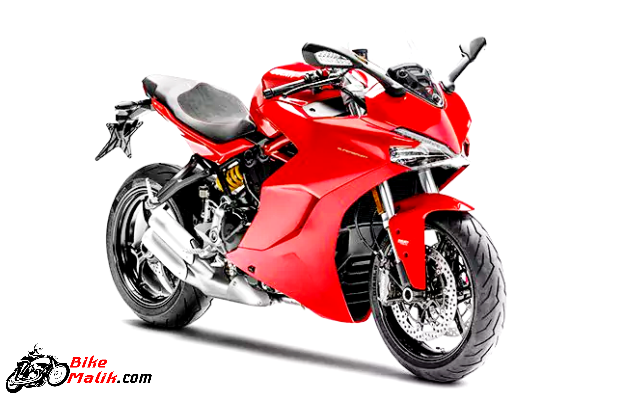 The bike is accessible to the customers in 2-variants; SuperSport (STD) & SuperSport S.The main strategy behind the debut of this sports model by the bike maker is to grab the customers, who are in search of sports model that replaces the existing Ducati Multistrada 950 and the Panigale 959. 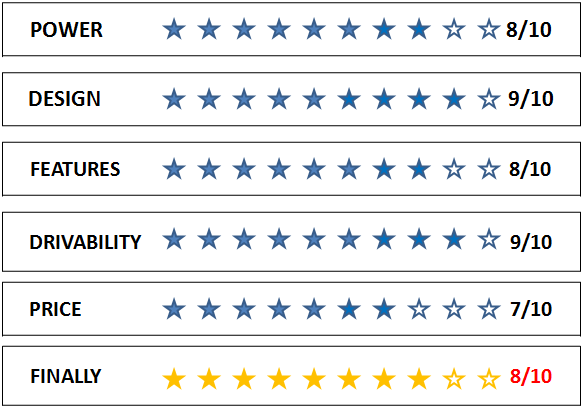 So, let’s see how it would be a better alternative to these 2-grandeurs. The SuperSport model gets all the power from a power-packed 937cc liquid-cooled Testastretta L-twin engine that generates 110PS of power @ 9,500rpm with peak torque of 93Nm @ 6,500rpm. 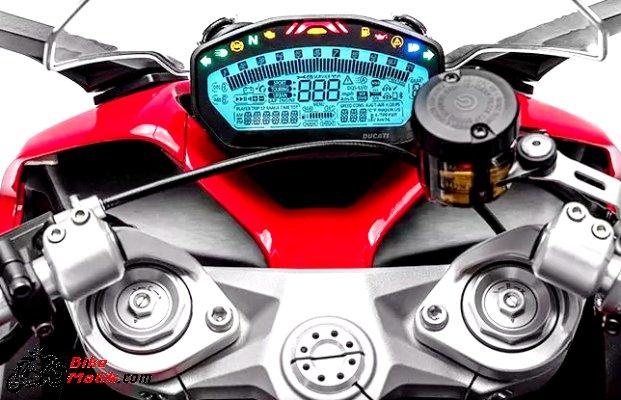 The Quick Shift (DQS) up/down quick shifter with 6-speed transmission unit provides better shifting of gears, and thus, the rider feels no faults while driving the bike at high-speeds, with shifts. 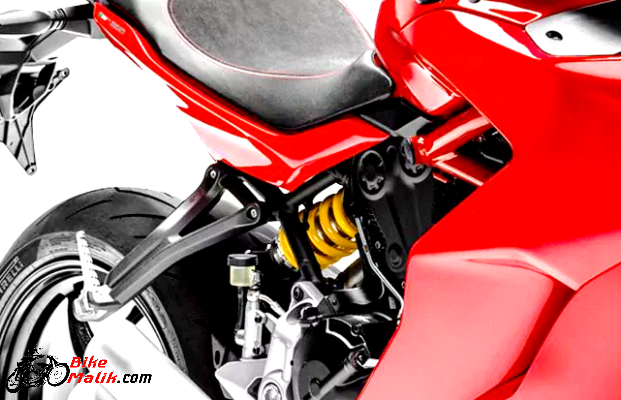 The Ducati SuperSport receives the styling and design cues alike to the Panigale model. The bike gets a sharp looking headlamp unit that not only gives bright light but also enhances the overall front profile. The adjustable windscreen gives stability to the bike and also the rider at high winds. 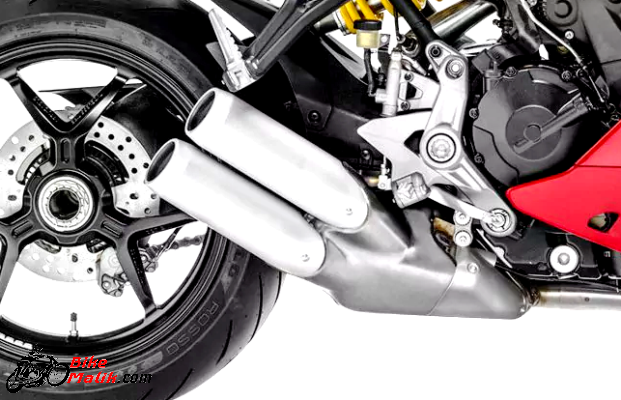 The new exhausts with the higher set of clip-on bring the plusher look the bike. The nicely cushioned seat provides good comfort to both the rider & pillion. The lower footpegs is an add-on comfort feature that eases the legs. The features that provides utmost comfort and easement to the rider are ride-by-wire, rider modes, 8-level traction control and 3-level ABS. These noteworthy fitments and elements will work efficaciously to ensure speedy drives with the positive feeling. The SuperSport model provides super driving capabilities to the rider by employing the good braking unit, and hassle-free suspension setup. The braking duties are handled by the 320mm dual semi-floating discs fitted to the radially mounted Brembo Monobloc M4-32 callipers at the front and a single 245 mm disc with a 2-piston calliper at the rear. All the heading speed of the bike is stopped accordingly by the uniform application of the rider. 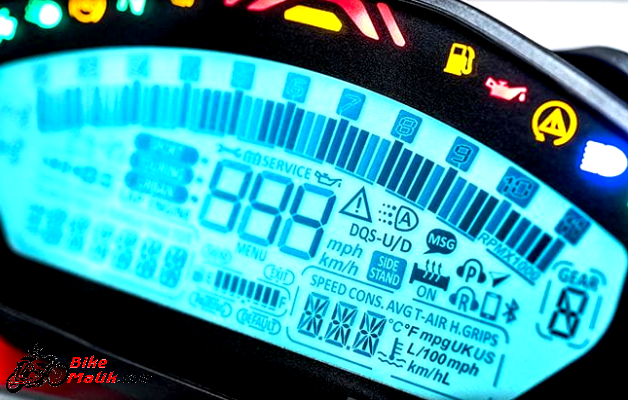 The ABS option further assists the rider to maneuver the road at high speeds. 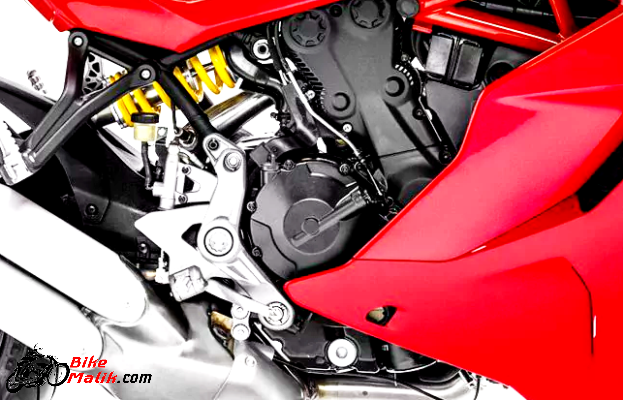 As of the suspension system, SuperSport gets a 43mm fully adjustable Marzocchi upside-down forks at the front and a linked semi-adjustable Sachs monoshock damper at the rear. The rider will not experience the potholes, bumps and disturbed surfaces, with the effective working of the trusted suspension unit. 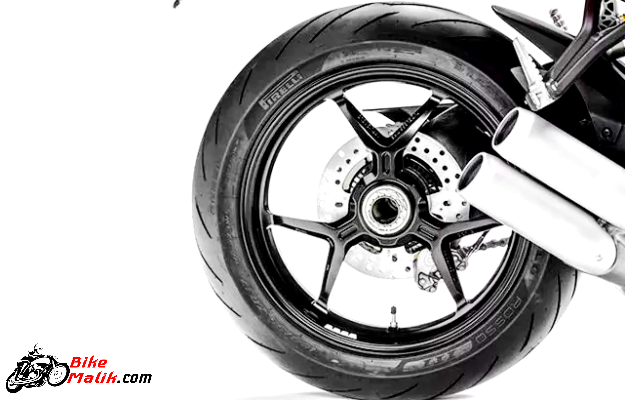 While the cornering of the bike at sharp edges is possible with 17-inch grippy Pirelli Diablo Rosso III tyres housed on a lightweighted alloys wheels. The stability of the bike at high speeds is possible with 210 kilos (kerb), which was less as compared to the other cruising models. 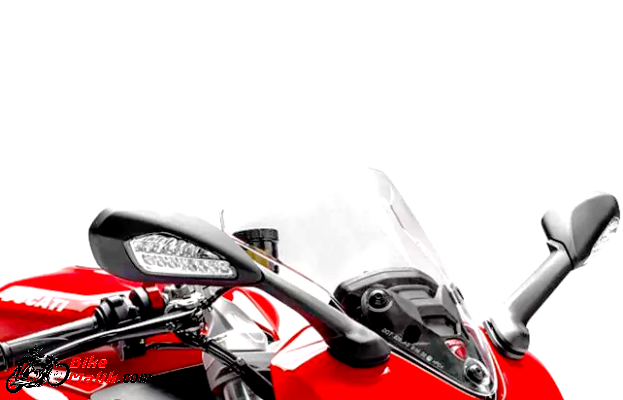 Ducati SuperSport is available in 2-variants with a price tag starting at a range of INR 13,43,748 (ex-showroom, Delhi). 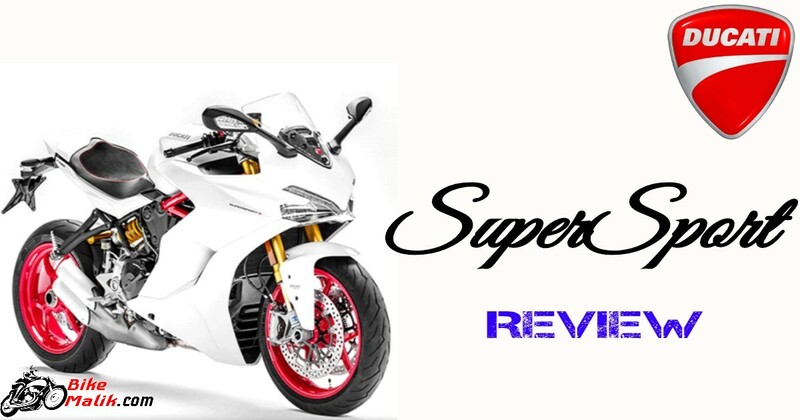 The Suzuki GSX-R1000F & Kawasaki Ninja 1000 are the tough contenders for the Ducati SuperSport. Ducati SuperSport is a contemporary & refreshing model along with a potential speed that suits the most of the young studs. 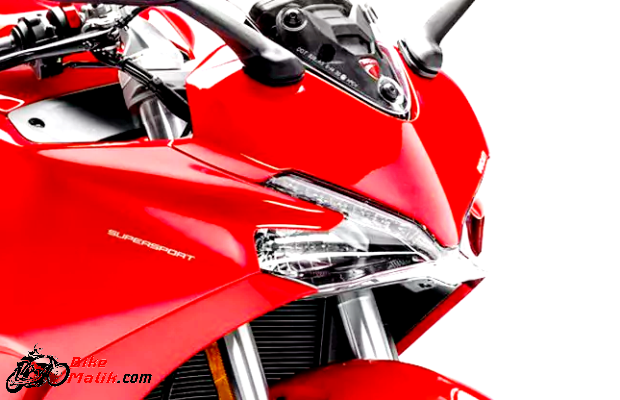 If you are in search of the sports model that satisfies the thirst of the naked street experience then Ducati SuperSport is the best to choose with.